Rouen – 2 October 2017. The partners of the “Rouen Normandy Autonomous Lab” project are launching Europe’s first on-demand mobility experimental service using autonomous electric vehicles on public roads(1).This European first was officially kicked off during a signing ceremony in the presence of Frédéric Sanchez, President of Métropole Rouen Normandie, Hervé Morin, President of Normandy Region, Thierry Mallet, Chairman & CEO of groupe Transdev, Florence Mas, Director of the Normandy Region of groupe Caisse des Dépôts, Philippe Buros, Groupe Renault Senior Vice President, Director of Sales France, Nicolas Gomart, Director General of Groupe Matmut, at the Metropole Rouen Normandie headquarters.With a budget of 11 million euros, the project is named “Rouen Normandy Autonomous Lab”, and is one of the “Smart City” regional experiments fostered by groupe Caisse des Dépôts. In Rouen, an on-demand mobility service will be made available to inhabitants of the metropolis, a first in Europe. The service will include five autonomous all-electric vehicles running on normal public roads. The fleet will initially comprise four Renault ZOE all-electric cars equipped with Renault and Transdev technologies (the latter developed in partnership with Delphi, Esigelec and other Normandy-based companies). At a later date, a shuttle, using Transdev technologies will complete the fleet. 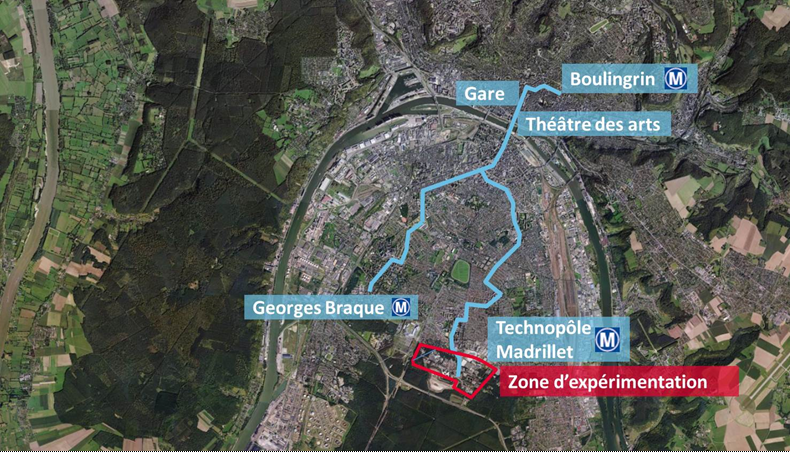 The vehicles will run on three circuits covering a distance of ten kilometres, in Rouen’s Technopole du Madrillet (Saint Etienne du Rouvray). After an initial testing period, this on-demand service will be open to the public in spring 2018, for two years. 3 loops totaling 10 kms of open roads with 17 stops. Using a dedicated smartphone application available at each of the seventeen stops on the three routes, passengers will be able to book a ride in real time. Improve the communication technologies between the autonomous vehicles and from the vehicles to the infrastructure, such as roadside equipment. Test fleet management technologies in terms of real-time vehicle supervision and maintenance. Analyse and continually improve the passenger experience. The Rouen Normandy Autonomous Lab was launched by Transdev, one of the world leaders in passenger mobility. Alongside the Métropole Rouen Normandie, it includes key partners and the project marks a major milestone in the deployment of autonomous vehicles in Europe and a key step towards a shared, smarter and more sustainable mobility. The project reflects the desire of each partner to invest in the mobility of the future, joining forces to offer their specific know-how and innovation capabilities to serve a region which is at the forefront of innovative and sustainable transport solutions. 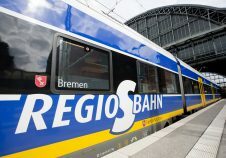 For the Metropolis and the Region, the goal is to offer their citizens a service that is a first in Europe and the first step towards the development of a cutting-edge industrial cluster dedicated to mobility of the future. For groupe Caisse des Dépôts, this experiment brings to life its “Smart City” demonstrators programme launched in November 2016 to support the deployment of innovations in the territories. Transdev, its subsidiary, contributes its expertise in public transport operations including daily management, fleet management and maintenance customer relations and in autonomous transport, notably dispatch, fleet-control-command and embedded software. Groupe Renault brings its expertise in the field of electric vehicles, autonomous driving experience and connected vehicles technologies. With a budget of 11 million euros, 60% of the project is funded by private investors and 40% by the public sector. Transdev has been operating the Astuce city transit system for Métropole Rouen Normandie for over 20 years.It includes a fleet of 310 vehicles including the Metro and “TEOR” Rapid Transit Buses (BRT), equipped with optical guidance. 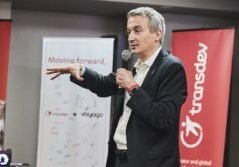 For Transdev, the programme is a major milestone in its strategy to become the leading operator of autonomous transport systems. 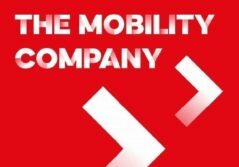 The group draws on its worldwide expertise as an operator of mobility services, and on its on-going discussions with its customers to define the conditions of a “PACE” mobility: Personalized, Autonomous, Connected, and Electric. For Groupe Renault, pioneer and European leader in the sale of all-electric vehicles, this programme is a significant step in its strategy to develop its on-demand passenger mobility services, benefitting from the launch of these first operational tests with real users and electric autonomous vehicles over a long period of time. – The tests will allow these solutions to be developed, a better understanding of user behaviours and how to use and operate these services. Alongside the “Mind off” autonomous driving programme to be progressively deployed under the “EASY DRIVE” brand name, this new initiative aims to establish the autonomous vehicle technologies dedicated to mobility services. The research partnership signed in February 2017 between the Renault-Nissan Alliance and Transdev becomes a reality in Rouen. It enables Transdev to benefit from its partners’ worldwide expertise in the field of connected, autonomous electric cars, to jointly develop an autonomous transport system. Transdev and Groupe Renault are also partners in the EVAPS project (Eco-mobility with Autonomous Vehicles in Paris-Saclay). This 16 million-euro project has been initiated by Renault and funded with the support of the “State Investment for the Future” programme managed by ADEME (French State Agency for public policies in the field of environment, energy and sustainable development). It leverages the expertise of VEDECOM Institute for Energy Transition, SystemX Technological Research Institute and the Paris-Saclay University. EVAPS aims to develop smart mobility services, using autonomous vehicles in and around the Paris-Saclay urban community. In the frame of the “Smart City” development, groupe Caisse des Dépôts has been supporting pilot projects in the French regions since 2016. In partnership with local authorities and private stakeholders -including subsidiaries of groupe Caisse des Dépôts – and with major groups and start-ups, this approach aims to explore and push forward business models, new services, technological breakthroughs, enabling regions to collectively address technical challenges in the general interest of all. Métropole Rouen Normandie’s commitment to “Rouen Normandy Autonomous Lab” extends its tradition in innovation to the field of mobility. It has been one of the first to reintroduce a citylight rail system and the first in France to develop Bus Rapid Transit services. The Metropolis has been a pioneer in electric mobility transport development and in adaptive driving aids with the optical guidance system of the TEOR buses (2001) – a first step towards autonomous vehicles. – The metropolis is now participating in the development of autonomous vehicles for its inhabitants enhancing its Smart City programme.Its ambition to become the European capital of autonomous mobility is not only to create new services in response to the needs of energy transition, but also to develop in the metropolis and in Normandy a real cutting-edge industrial cluster., leveraging the local eco-system. Furthermore, this experiment marks the first phase of a much wider project, called “Normandie smart mobility for all”, filed with the PIA3 on 29 September. Groupe Matmut’s participation in the Lab project will mean that the group can further its research on the impact of autonomous vehicles on future mobility and the associated responsibilities.As well as financially supportingthe project, Groupe Matmut will contribute its car insurance know-how, a key component of the group since the company was established. With its long presence in Rouen, Groupe Matmut welcomes this initiative, a testimony to the dynamism of the players in the Region. Caisse des Dépôts and its subsidiaries together form a State-owned group that is a long-term investor serving France’s public interest and local and regional economic development. This role was reaffirmed by the French Law on modernisation of the economy of 4 August 2008. The Group has renowned expertise in managing public service mandates and it has earmarked four priority sectors for creating jobs and partnering industrial development and innovation: business development, the energy transition, housing, and infrastructure and mobility. Transdev is a global mobility leader. 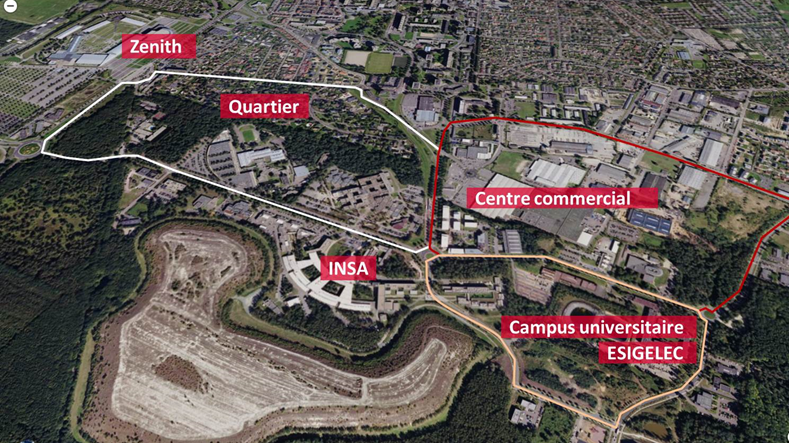 It is a subsidiary owned 70% by the Caisse des Dépôts and 30% by Veolia. Transdev advises and supports local authorities from preliminary planning and contracting to daily operation of public transportation systems. With 83,000 employees in 19 countries, the Group operates 43,000 vehicles and 22 trams. Transdev generated 6.7 billion euros in revenue in 2016. An hour away from Paris, Métropole Rouen Normandie, the largest demographic and business area in Normandy, represents nearly 500,000 inhabitants and 230,000 jobs. The Seine development corridor that links Paris and its region with its maritime interface is a hub of experimentation and innovation. It is home to major groups, small- and medium-sized companies, competitiveness hubs such as Mov’eo – an international centre dedicated to mobility technologies – and more than 2,000 researchers, 100 laboratories— including some approved CNRS or INSERM facilities — a digital ecosystem that is a member of French Tech, 40,000 students in the science parks, and a network of major schools. With more than 3,2 million memberpolicyholders and close to 6,8 million insurance contracts managed (by 31 december 2016), Groupe Matmut is a key player on the French insurance market. The group offers to all -individuals, professionals, companies, associations – a complete range of insurance products of people and goods (car, motorcycle, boat, home, responsibilities, family protection, health, legal protection and legal aid) and financial services and savings plans (auto loans,projects,loan insurance contracts, savings plans, life insurances…). With currently 6 200 employees, the Group generated a 2 Billion euro turnover in 2016.